when you check in ! You will come to like Kyoto more. Located a 10-minute walk from Nijo Castle, Kyoto Uraraka Guest House offers private cozy guest rooms with free WiFi access. 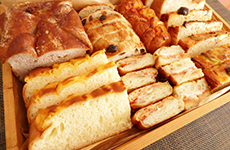 Complimentary breakfast of freshly baked bread and coffee are served daily. The nearest bus stop is a 1-minute walk away. 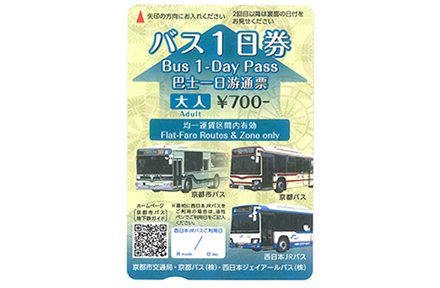 Guests can visit Kinkakuji-temple, Kiyomizu-temple, the Arashiyama area, the Gion and Shijo Kawaramachi areas by bus from the nearest bus stop. JR Kyoto Station can be reached within a 17-minute drive. Air-conditioned rooms are simply furnished in natural colors and equipped with a fridge, a flat-screen TV and a working desk. The private bathroom is also equipped in each rooms. We also offers bicycle rental for free of charge. We’re always happy to help your pleasant stay! We offer freshly baked bread and coffee & tea for free to all our guests every morning. The guests may have free refills of coffee and tea all day. 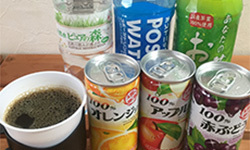 It's also available to buy green tea, sports drink and fruits juices at discounted price in the guest house. 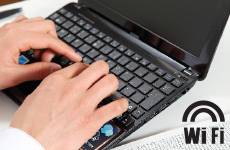 Water dispenser (hot & cold), microwave oven and PC can use for free in any time at the community room on the 2nd floor. Breakfast service is also offer in this community room. 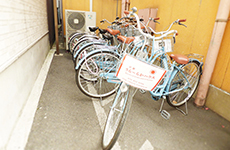 We also have rental bicycles service and it's very convenient to exploring the Kyoto. 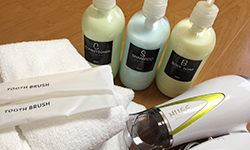 Towels, toothbrush, shampoo, conditioner, body soap, hair dryer are provided in all rooms. We changes towels and clean up the room every day. 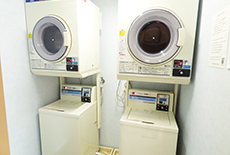 Luggage storage, rental bicycle, free rent services (kettles, iron etc.) are provided at the front desk. 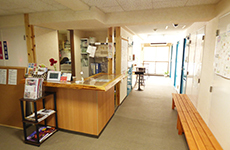 You also can get various information to exploring the Kyoto. There is no parking lot for car but the guests can park motorbikes. If you come to our guest house by the car, please use local coin parking lot.